Hi everyone, I’m Stephanie from The TipToe Fairy. I’m so excited to be visting Maggie at The Love Nerds! One of my favorite things to do when it gets cold is bake. I tend to bake up the storm and let the oven heat the house. 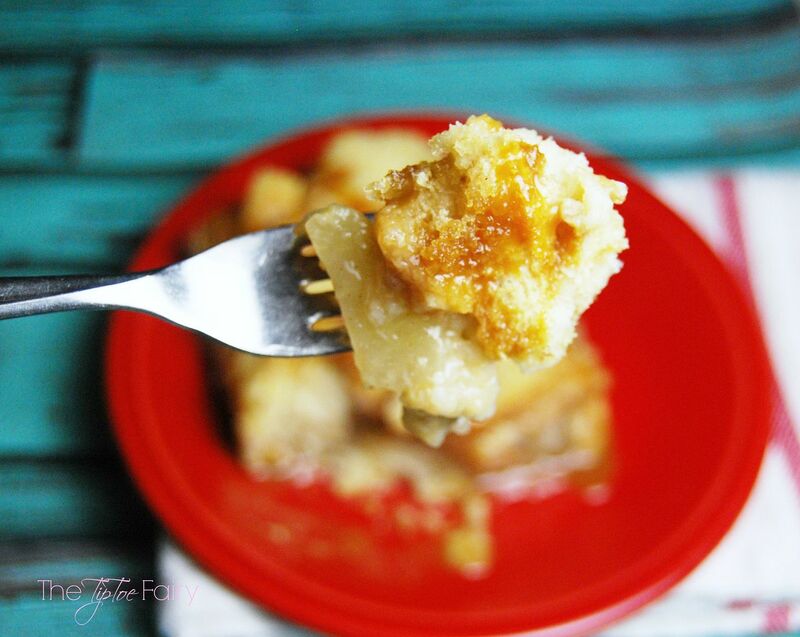 One of my family’s favorites is french toast casserole. I love to make it many different ways. And, it’s just so easy to whip up. I can make it the night before, pop it in the fridge, and then bake it early in the morning, and breakfast is served! Plus, it keeps beautifully in the fridge for breakfast later in the week. Recently, I was at the grocery store and saw they had caramel apple pie filling. I thought this would make a delicious french toast casserole, especially for Fall. This is a great breakfast to make when you need to be frugal. I save all the heels of the bread and any bread that seems to be going stale, and put it all in a ziplock bag in the freezer. Then, when I have enough, I make one of these casseroles. It’s so versatile. You can add fruit, cream cheese, pie filling, jams and preserves. Even something like Nutella! This is also a great breakfast for school mornings. Just cut a slice, heat for 30 seconds in the microwave, and the kids gobble it up. In a 13 x 9 pan, melt stick of butter and ¼ cup brown sugar and mix together to coat the bottom of the pan. Tear up ½ of the loaf of bread and place it in the pan. Mix together milk, eggs, caramel sauce, cinnamon. 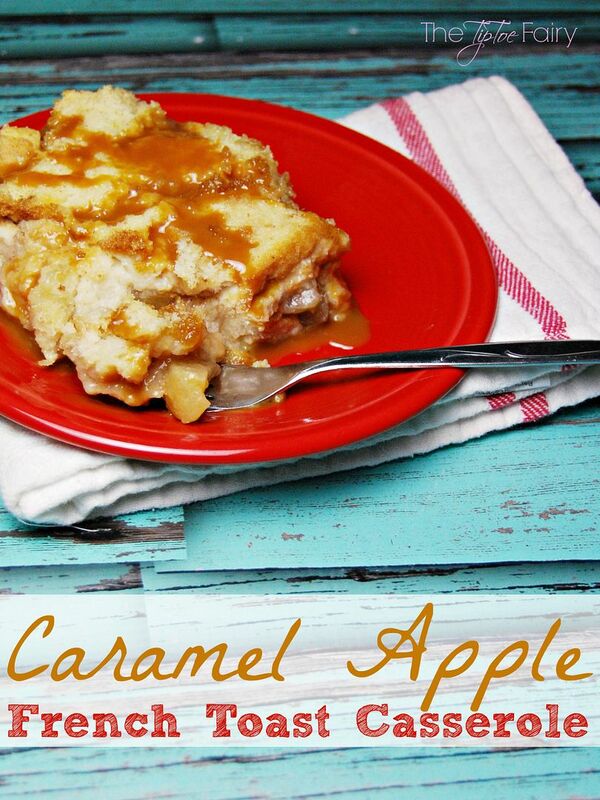 Spoon the caramel apple filling all over the torn up bread in the pan. Pour half the milk mixture over the entire pan. 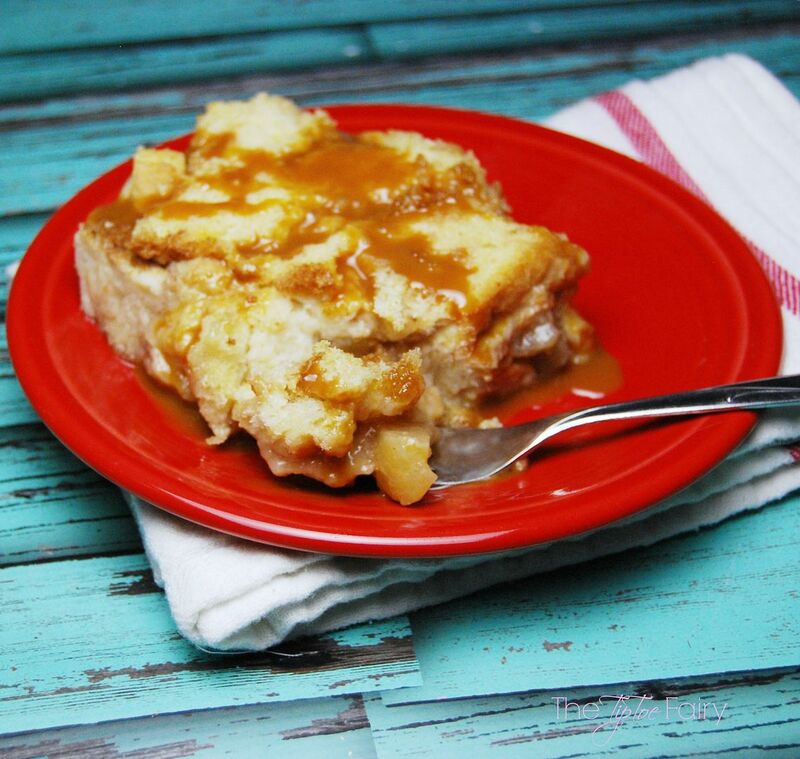 Tear up the second ½ of the loaf of bread over the apple pie filling. Pour the last half of the milk mixture of all the bread. 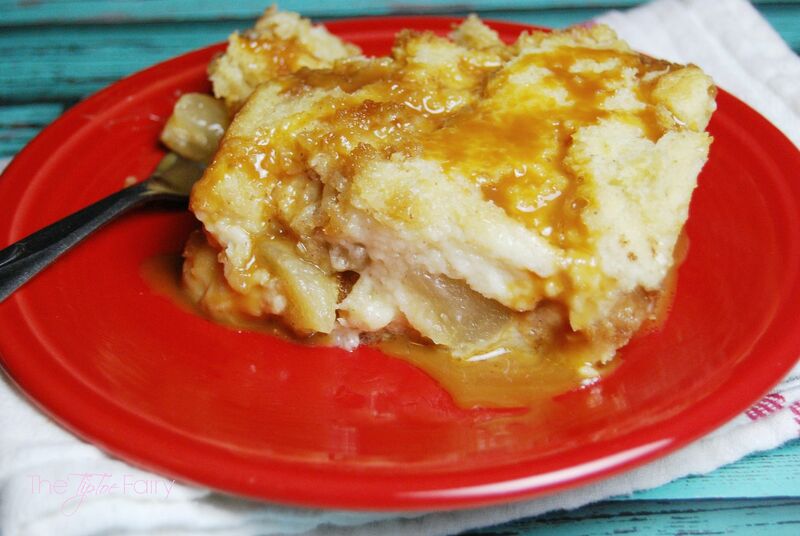 Take ¼ cup of brown sugar and sprinkle over the top of the casserole. Cover with plastic wrap and place in the fridge for at least 1 hour, preferably overnight. Remove casserole from fridge and place on top of oven. When oven is ready, remove plastic wrap and bake for 35-40 minutes or until done (it will be firm and not squishy when it's done). I recommend adding a dollop of fresh whipped cream and spooning just a tablespoon of dulce de leche or caramel sauce over a slice when serving it. Enjoy!